The business roadmap is an essential aspect of any organization’s strategic plan. A solid business roadmap allows the entire team to be on the same page about the entire team’s strategic vision. It also presents companies with other benefits, for example, a business roadmap can help you determine when you should certain requirements, and what the potential impact of doing so would be. In less than one-minute, we demonstrate how you can use OneDesk to build a business roadmap. OneDesk allows you to employ a data-driven approach to your roadmapping process. This help you save time, effectively manage expectations and ensure better organizational alignment. 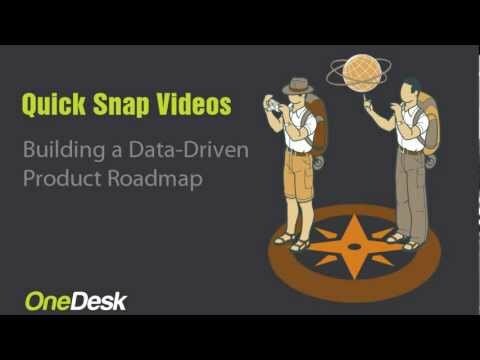 To learn how build a data-driven business roadmap, take a look at this quick, catchy video below. We would also love to hear your feedback on it.